The High Sabbath Adventist movement is coupled to the story of a man who followed a divine call to leave his European homeland and buy property that God showed him in Paraguay. 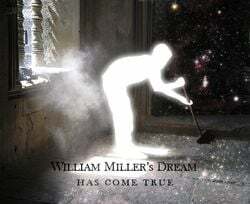 There, under very difficult circumstances in the extreme heat of the country, John Scotram rounded out the studies he had begun in 2004 by solving the riddle of the man with the golden measuring rod in the Bible. That same year on the Mediterranean island of Mallorca, he had finally let go of his computer consulting business, which was just flourishing after years of difficulty. He gave it up to allow the Holy Spirit to teach him, sheltered in nature in Paraguay. 2008 was to be the year when another riddle in the Word of God would open to his understanding: the oath of the man over the river in Daniel 12. God had already twice shown him the year 2012, and he understood that he was to prepare accommodations by that year for more helpers in Paraguay, which he did insofar as his limited financial resources allowed. 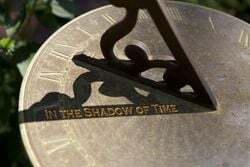 By the end of December 2009, Brother John had received the last missing piece of the puzzle to understand how God’s great clock of time in Orion could be read. 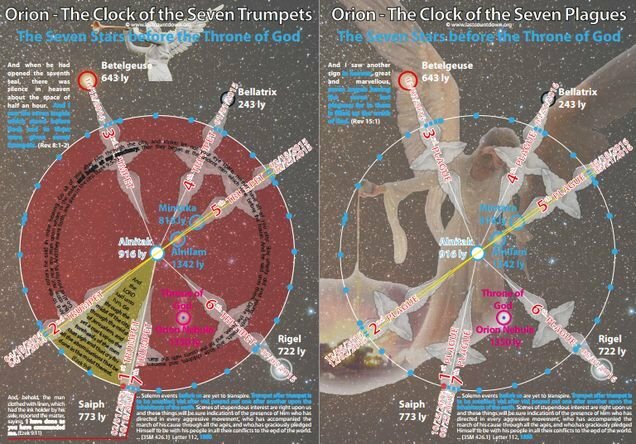 On December 29, 2009, he saw for the first time how an Orion clock cycle unfurled (the judgment cycle) and which dates God pointed to in this book of seven seals. He recognized through the past dates that God had a message for the people that contained many teachings, and that the defiled jewels of Adventism needed to be cleaned up again and brought back to their historic place. 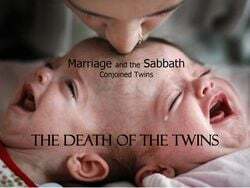 God gave him the task of turning the heart of the fathers to the children and the heart of the children to their fathers before the day cometh that shall burn as an oven. In January of 2010, the Orion presentation was released, summarizing the first lessons that the Holy Spirit had given him. The first version of the Orion presentation would not be the only one through the many years that the knowledge of the bountiful message of God has been ever growing. It was never a message purely about setting the time of Christ’s return; the message exposes false teachers and shows which doctrines have penetrated the Christian churches—especially since 1844—to lead the people astray and thus betray them to eternal death. The message he received contained remonstrances against the leadership of the Seventh-day Adventist Church and a call to return to the divinely specified path they had deviated from. Only two dates on the judgment clock were yet future: 2012 and 2014, with only the latter being indicated by a star. What would happen that year? The first obvious idea was that Jesus could return, because 2014 was the year pointed out by the star of the rider of the white horse (Christ). 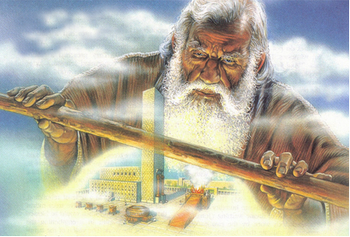 In the search for Bible truth, knowledge slowly grew until in September of 2010, while studying God’s true calendar, the solution to the two Passover problem, and the shadows of the sacrifices, Brother John found a second divine clock composed of all the High Sabbaths of every year since the time of William Miller. 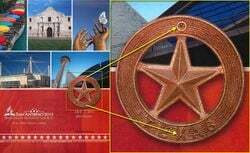 The structure of the clock strongly resembled the double helix of a DNA strand, and the “genes” described therein were further teachings that described the character of a true Christian. Brother John was able to find the “divine gene” that promises eternal life. And... this clock also had a well-defined ending: the year 2015, which was one year beyond the end of the judgment clock in Orion. How could the difference of one year on these two divine clocks be explained? 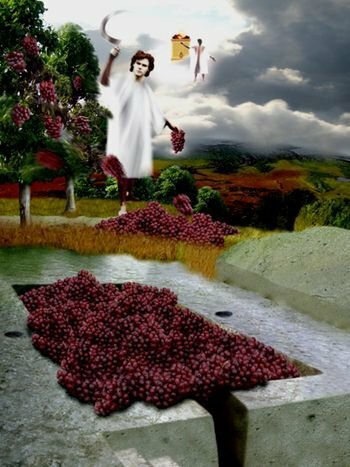 In the study of the shadows of the sacrifices, Brother John could make out 372 daily rations of the Holy Spirit, provided for a special time of crisis, so that people’s faith would not fail in despair. It looked like God intended them for this time difference of one year. It initially seemed clear that the one-year difference was in all likelihood the year of the seven last plagues, since many Bible texts speak of the prophetic day or literal year of the wrath or recompense of God. The time had come to not only restore all the teachings that God pointed to in His clocks to their historic places, but to give time warnings. 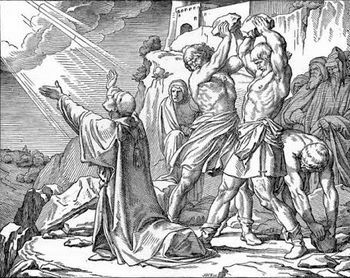 If Jesus were to come on Yom Kippur, 2015, then the persecution and tribulation would have to begin 1335, 1290 or 1260 days earlier, according to the timelines of Daniel. So, a world-changing event would have to happen on February 27, 2012, at the latest. 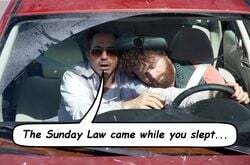 In regard to such events, Adventists immediately think of the National Sunday Law in the United States due to the prophecies of the messenger of God, Ellen G. White, which is to persecute the true believers before the coming of Jesus who keep the commandments (especially the fourth). The Adventists, however, did not wait until 2012 to treat Brother John how the Jews treated the prophets that had been sent to them. 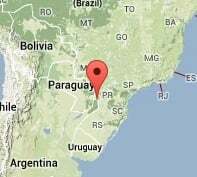 God had sent Brother John to Paraguay out of His divine providence, where it was difficult to inflict physical harm on him in his sheltered dwelling place. Nevertheless, he was silenced everywhere possible, and the message was attacked without any biblical grounds against it. 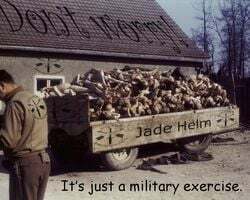 Thus began a long sad story for Brother John and those who soon followed him to his little farm in Paraguay and started to live in the small houses he had built there, not knowing for whom or if anyone would ever live in them. When 2012 came, the Holy Spirit continued to teach us, and we learned a lot about the movements in the heavenly courts, which had consequences on the earth, but not yet in the visible form that was desired. There was a delay, and it took us years—up to autumn 2016—to fully understand why the court venue had to change and the judgment of the living couldn’t begin until 2014 after a delay of 636 days. 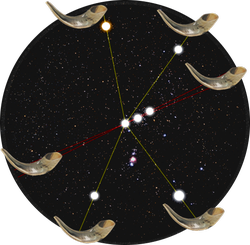 2014, the ending year marked in the Orion judgment cycle, was to be the beginning of a new Orion cycle: the trumpet cycle. Its duration made it clear that Jesus would not return in 2015 either, but in 2016. Once again, God had assigned to us the task of associating world-news events to the dates on His clocks, which we carefully and deliberately did. Countdowns were again set, many articles were written about the last battle and the end of mercy. 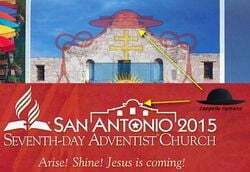 We learned not to see in every trumpet the infamous fireballs prophesied by Ellen G. White or the Sunday law in the US that all Adventists expect, though its twin had already been murdered in June of 2015. Through trial and error, we gradually became wiser and less erring in our predictions, which—although we were always led by the Holy Spirit—were mostly based on studies of the corresponding Bible texts. 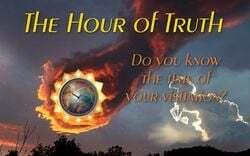 At the same time that Brother John received the knowledge of the trumpet cycle of the Orion clock (January 31, 2014), the Holy Spirit also revealed a plague cycle. The 372 days of the daily rations of the Holy Spirit provided the framework for it. We were in full suspense throughout it as we awaited the arrival of the terrible catastrophes. As in the trumpet cycle before it, we found interesting fulfillments fitting the Bible texts and new insights which we summarized in the End of the World series, but again neither the fireballs, nor the ulcers, nor the literal Sunday law ever came. What happened? Why were the trumpets only fulfilled “halfway” and the plagues even a lesser part? We learned the answers to these questions in the second time proclamation, which began shortly before the date that we understood as the date of Jesus’ return, the 24th (23rd) of October 2016. God’s original plan, which we had received, had failed because of the Adventist church’s refusal to carry the light of the fourth angel into all the world with 20 million helpers. For the world as a whole, all there was of the prophesied loud cry was only the dying away of a quiet voice of a nightingale from a wilderness forest of Paraguay. For a long time, God let us think that His original plan was still valid. Our faith had to be tested, and we had to make a sacrifice, which is what finally made us into the proven, clean church of Philadelphia. 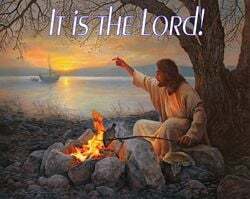 It was that sacrifice that moved God to present us with His new schedule for the second proclamation of the day and hour of the coming of Jesus, which was prophesied more than 170 years ago. 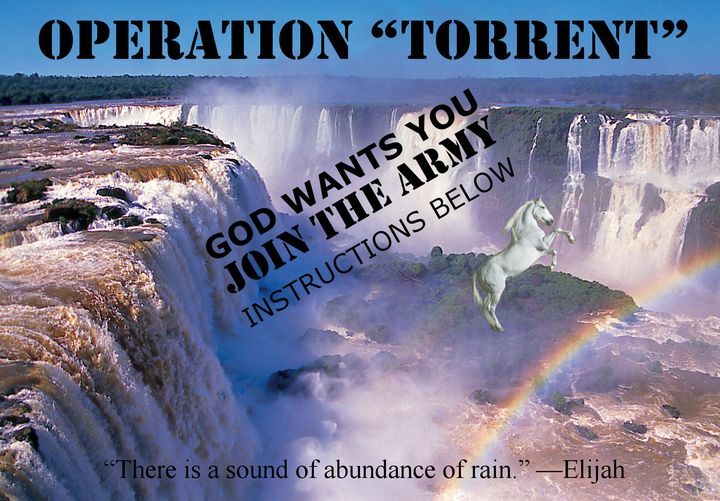 This time we were given the remaining dates of importance for the destiny of mankind, a complementary trumpet cycle that—as the name implies—complements the parts of the trumpet texts that were still missing, having not yet been fulfilled in the first trumpet cycle, and we received understanding of the timelines of Daniel and how Pope Francis first withdrew as “General Cestius” for three and a half years before having now already returned as “General Titus” to bring on the tribulation. 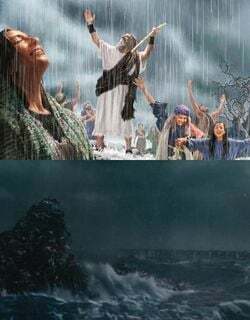 The Destruction of Jerusalem is the first chapter in Ellen G. White’s most famous book, The Great Controversy, and we are in the midst of all the last countdowns for Jerusalem and Christendom. 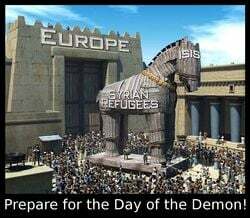 The days given to the heathen are also numbered. God is love, but He is also time—which wasn’t just created by Him. He is time, just as He is love. Therefore, He can do nothing other than give to His prophets that which He is. He gives His love to mankind, but He also gives His time to His prophets. When God bestows His love upon us, He gives us a clock. 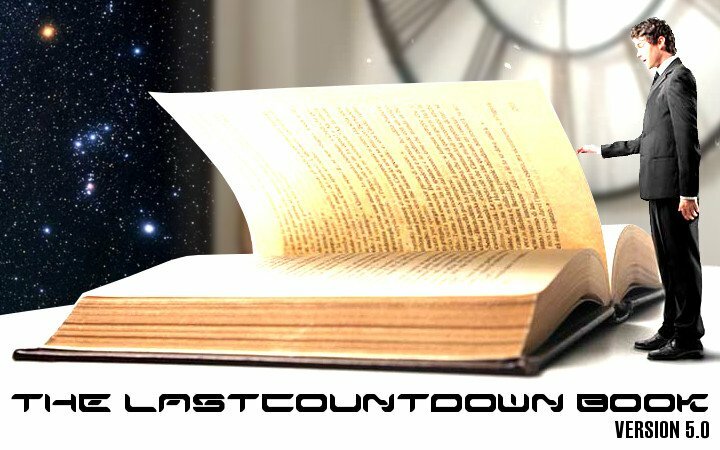 When we spread God’s love and time, it is by placing a new countdown on one of our websites. 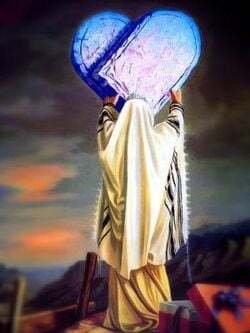 Then you can see it and read from it how long God still has patience to demonstrate to you that He loves you and therefore bestows upon you more time. God’s last love messages to His children are clocks—clocks as grandiose as the thousands of lightyears extent of the Orion constellation, which, since the creation of Adam, has already counted down scores of times in the form of an hourglass—or just as astonishing as a man’s DNA, which packs all his physical traits and characteristics in the tiniest space in every cell of his body. 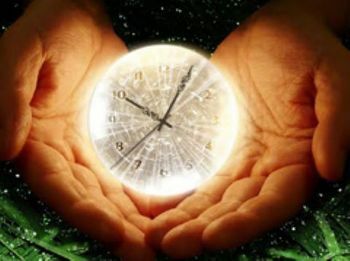 God showed us His DNA to heal us... and again, it was a clock. Contemplate what you say with the sentence: “I have no time to read these things.” And listen to the words of the preacher: “to every thing there is a season, and a time…” even to the patience of God. There are a total of 16 countdowns for viewing on our new White Cloud Farm website. 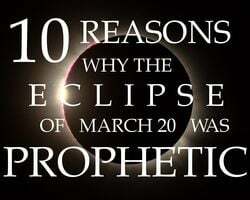 A few of them have already expired, and in the new Prophecies Fulfilled section, we are writing about what happened at the respective times or in the respective timeframes.